Hardly half a decade ago, digital marketing professionals were not interested to implement artificial intelligence tools in their strategies. But, in 2017 and 2018, they gained more confidence and are using AI tools to get the perfect results. And the reason for their surprise change? The AI tools keep on improving day by day. In the future, Facebook ads and other digital marketing campaigns will be spearheaded by AI tools and algorithms. 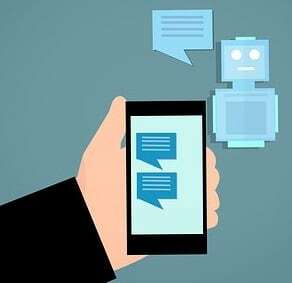 A survey by business experts has indicated that 51 percent of digital marketers are already making use of AI tools to generate reports. Among the remaining professionals, 27 percent are expected to incorporate the digital marketing technology to their advertising campaigns this year. At present, the AI technology has even outsmarted smart home technology and home automation. Marketing experts are thinking of including machine learning as well as natural language processing in their campaigns to get the best result in terms of revenue. In this article of Artificial Intelligence in Digital Marketing, let us focus on the existing technologies. These, when combined with AI tools can bring about a change in digital marketing campaigns. Now, be prepared to hear the surprising news. You have an AI machine which can write content as per the need. Hard to believe? Yes, it is true. Just search for the words, Articolo, Quill and Wordsmith on the internet. These AI tools are used by acclaimed papers such as Associated Press, Forbes to create content. Yes, they are template based. You need to feed the data and the AI tool will generate content. Now, every reputed newspaper is jumping on the bandwagon. For example, BBC, Reuters, CBS and even the New York Times have started implementing the content creation tool. The best example, you can have is the AI tool, Heliograf by Washington Post. The other name, you can have for this title is a recommendation. Have you shopped on Amazon? When you buy a product, you get recommendation notifications. Such as, the previous customer who brought the same product, also bought another product. Would you like to try the same? Imagine having this technology on your business website. If a visitor stops by an article, and you have implemented the AI algorithm in your website, then he/she gets shown other articles. And you are increasing the time the visitor spends on your website. 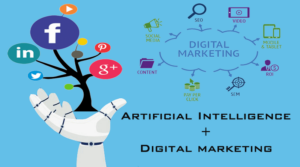 So, Artificial Intelligence in Digital Marketing can not only reduce the bounce data on your website but will also increase the number of new visitors. 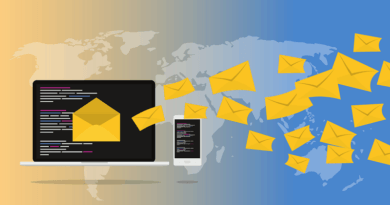 In recent times, branded companies are making use of AI to get the best result out of email marketing campaigns. The change has occurred. In prior times, the same content was sent to all persons. Now, based on individual preferences and reading timings, emails are sent. By automation. Now, the term for this scientific analysis is not only artificial intelligence but also machine learning. This tool analyses millions of data about your target consumers. Then, gives the perfect result on times and days of the week, you have to send the email to a particular individual. So, you know the personal preferences of the users. You can then generate individual liked content in the AI tool. This is one example of Artificial Intelligence in Digital Marketing where changes are bound to happen on a positive note. This is one area where AI is more used in digital marketing. It is easy to understand the topic. Have you heard about Facebook Ads and Google Ads? They make use of AI as well as machine learning to search for people to search for your product, have similar interest, demographics and many more. In all, they try to find the best target audience for your company. Then, they ensure that the product or service becomes visible to them. Can you kindly visualize the scenario for searches 15 years ago? To get the best result on Google, you need to type the correct words. Or else you will not get the perfect information. Cut to the present, if you want to gain information, type a word and the full sentence will appear on the search option. The changes that have occurred is because of AI and Google Algorithms. And now, another change has happened. Voice search. There are many smart home appliances which you can command with your voice to let them do manual tasks. For example, Apple Siri, Amazon Echo, Google Home, and Microsoft Cortana. Voice search will become the major changes in digital marketing in 2019. If voice related search became a major feature, then marketers have to change their content in the way a normal customer conveys his/her expressions. So, there will be no long tail keywords, but keywords which will be a part of the conversation. By making use of AI algorithms and thousands of data, it is possible to design or have a website that can rekindle the best experience to a user. Yes, the design will be based on data obtained from devices, location, interaction on your website and similar sites, and responses to your banners. In recent times, what does a consumer want from a company? The best quality products or service, right? And in case of a problem, if a ticket is raised, he/she should get the best response. 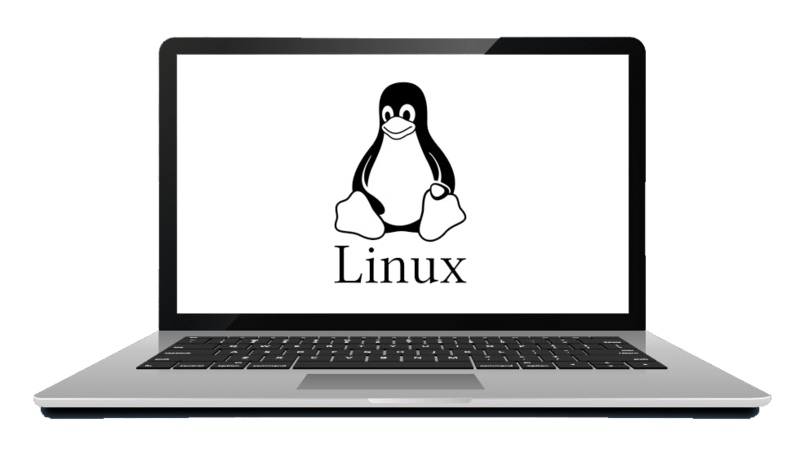 Now let us imagine a situation, where you took maintenance service for your laptop in Bangalore from a home maintenance company. Pleased with the service, you want to opt for washing machine maintenance service. Now, you call the number on the website and booked a ticket. But you do not know that the booking is done by a chatbot. So, when you as a customer gets the best response, the specific company adds a member to its loyal customer list. So, AI-powered chatbots will be making an impact in the future. This is another example of the use of Artificial Intelligence in Digital Marketing. There is another important feature of chatbots. They can work 24/7, do not need to rest, and can solve simple questions. So, the above-listed content speaks about the use of Artificial Intelligence in Digital Marketing. Do not forget to visit our website for other regular updates regarding digital marketing. Poonam Shinde on Awesome Birthday Surprises For Husband?